and carries them close to his heart. It’s a new week and I’m wondering how it’s been unfolding for you? I have stepped into the first moments writing my new Book #2 and it’s taking me places that I didn’t plan. But, I know that is how the Holy Spirit works. God has different plans than we may have, even if those first seeds he plants in our hearts seem to lead us one way. I can’t wait to share this book with you when it’s done. We’ll be going on a beautiful journey together with God through the pages of Book #2! When we actually go on the journey God leads, he’ll use our movement and willingness to change our plans — and to change us. To be loved deeper. By him. It’s just like becoming a mother — and the journey that motherhood takes us. Even when I was single and I wasn’t a mom — as a daughter I was so impacted and affected by the mothering that I had experienced. I felt that I was continually being re- parented and re-mothered by God. Do you know what I mean? We can never outgrow our need to be God’s child. To be held and carried in his arms. To be loved. 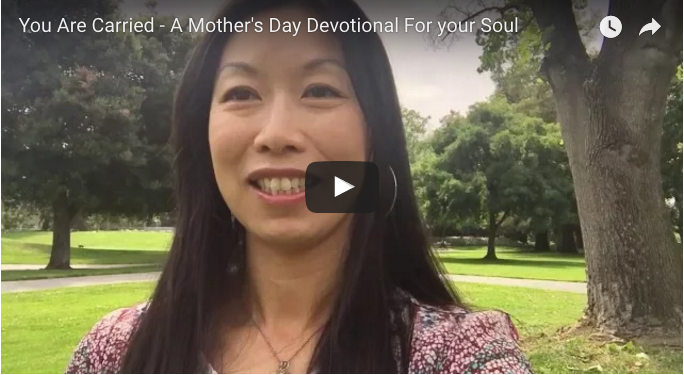 In this video, I share a very special key Scripture God used to encourage me in my journey as a mom — shaping my heart today with his whispers. And I believe it will encourage your heart too, wherever you on on the journey, with joy or complicated emotions. Today’s #OneWordCoffee Devotional reminds us God carries us through it all. Please share today’s devotional. Encourage your friends on Mother’s Day. Also, thank you so much for subscribing to me on YouTube! 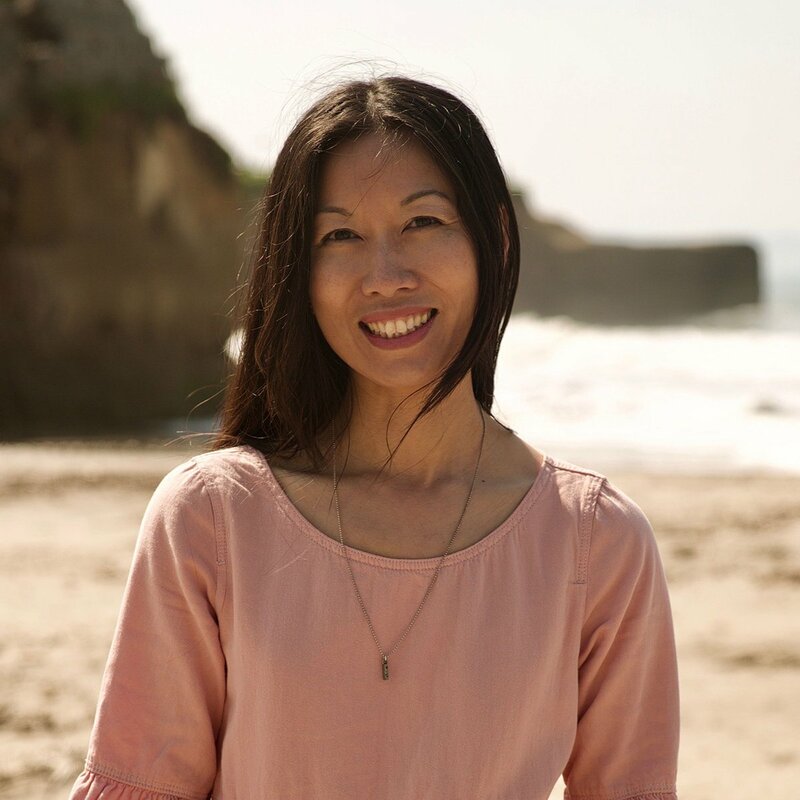 Your support encourages me to keep creating Mocha For Your Soul Devotionals! 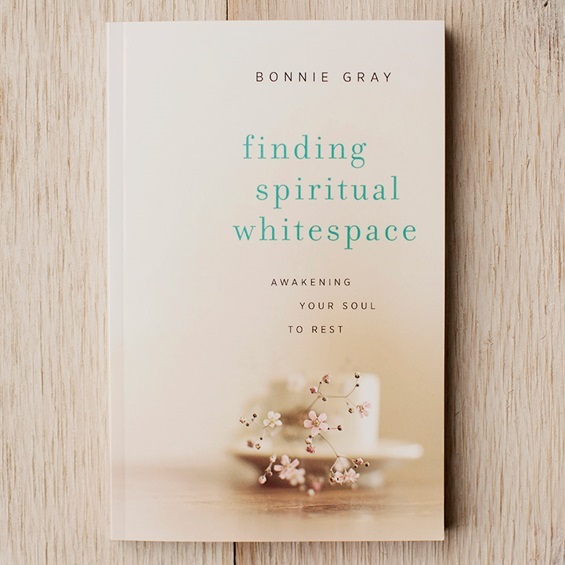 As many of you know, from reading my memoir-driven book Finding Spiritual Whitespace, the relationship with my mother has been a complicated journey. Yet, becoming a mother and learning to be a mother really has been a beautiful and vulnerable journey God himself has been nurturing and guiding me through. 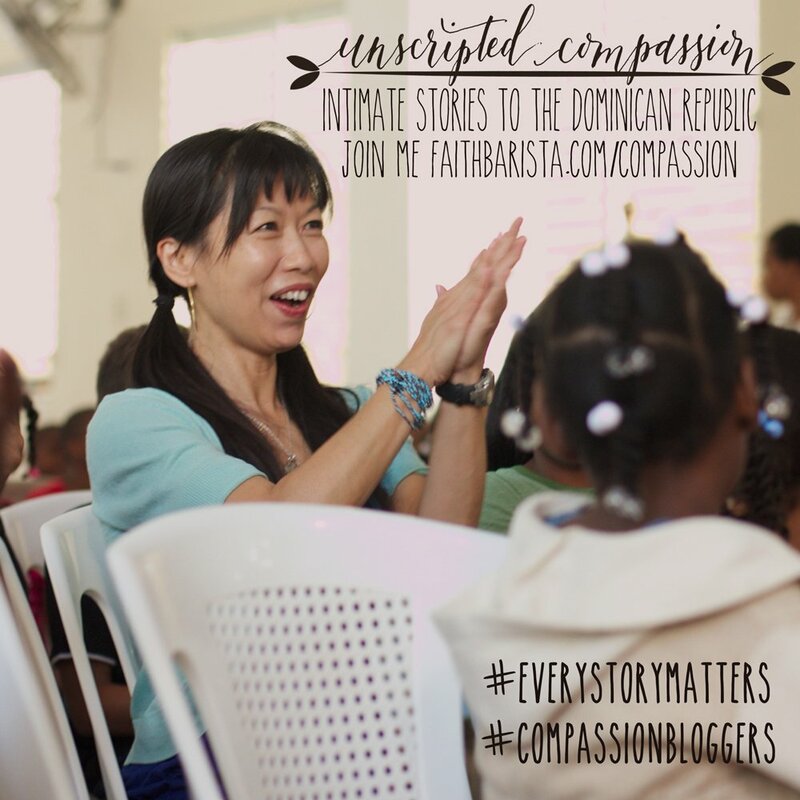 Today I am so excited to share a key verse that has shaped my journey as a mother. ** Hi friends, I’ll be taking a break from blogging weekly to work on a special gift from my heart to you: Book #2.. But, I will be posting Devotional Videos whenever I can. Thank you so much your encouraging comments and response to the news of Book #2. It means more than you’ll know! You give me courage. Please pray for words to flow as God brings me to your thoughts. Thank you! 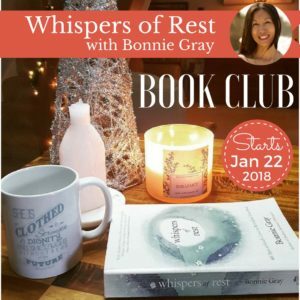 Hi, It’s Bonnie Gray and I’m saying hello to you for our Devotional For Your Soul at a local park which I just love being at. As you can tell there are so many different trees here, it’s like an arboretum. No matter how hard it is sometimes it is to get out but once I get out and I’m here with the trees and I see the breeze rustling through the leaves and I can breathe some fresh air, I’m always glad that I come. Well, I wanted to give some encouragement this week to all of us as we enter into Mother’s Day week. I wanted to share a verse that’s been very meaningful to me as I began my journey as a mother and as I continue this journey — because a lot of mothers that have gone ahead of me have always told me that it never ends, it never stops, the loving the caring, the thinking, the consoling. It’s part of our role of representing God to our children. Is to be that presence with them. No matter where the journey turns. Let me share this verse because it continues to speak to me. “God tends to his flock like a shepherd. It’s such a comfort to me, as a young mom with little kids, it was just exhausting. The reality hitting me — that moment when you realize this is a continuous thing and it isn’t going to end and its 24 hours a day, 7 days a week. This verse brought me back to a place where God is carrying me. Just like we carry our babies in our baby carriers, that’s the picture we get that God carries us close to his heart, on his bosom. Even now, as a mom — my kids are now 7 and 10. They are not in the baby preschool stage. Yet, I continue to carry them in my heart – what’s going on at school, what they’re experiencing, how I might play a role in that. I just try to share where I’m at in my own journey. I hope that they can see that I’m also carried by God — that I am learning to listen and to lean in. And I think that has really freed me. If I can share the journey with them, then I can be that presence, just like God is my shepherd and I hope that they can know that God is their shepherd. Wherever you’re at this week for Mother’s day — I know that for us Mother’s Day is a very difficult time. Maybe our mothers have passed or the relationship is where we would want it to be. And for some of us, motherhood is still a dream that hasn’t been fulfilled and maybe we’re not sure where that desire is heading towards. I want to encourage you, that you are God’s little lamb – that God carries all of these complicated and complex feelings close to his heart close. Just like a mother would constantly have that concern in her heart, God has us – has YOU in his heart – and he is going to carry you through this week. And he loves you. Wherever you are going to be this week — within your heart — or even as you’re celebrating with your family, know that God is with us. For myself, I’ve been asking my family – Eric, Josh and Caleb – what I would love is for us to be outside. And it’s been the beach for some reason. Every year, that’s just where I want to be. and I said that would be a wonderful gift to me. Being with me at the beach, hearing the waves and the ocean, and just having that whitespace. So, I’ll be thinking of you, as we celebrate this weekend, wherever you’re at. Thank you for sharing a little time every week, as we share some #OneWordCoffee – just words within our journey and just encourage each other. I hope you have a wonderful week. How is God carrying you close to his heart this week? What one word speaks to you in today’s scripture? Who can you share today’s encouragement with? 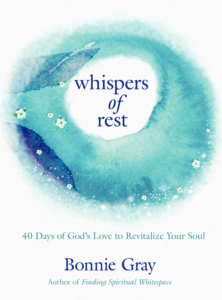 For more encouragement, get a copy of Finding Spiritual Whitespace: Awakening Your Soul to Rest. 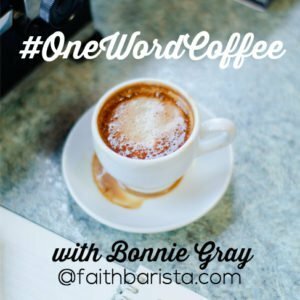 This new #OneWordCoffee Wednesday series inspires us to create space in a simple way, to be present, hear God’s whispers, to be refreshed & renewed. ? Every Wednesday, I’ll invite you to stop, pause, & reflect on One Word God’s put on your heart this week. Share how One Word speaks to you: 1. Simply post a comment (or) 2. 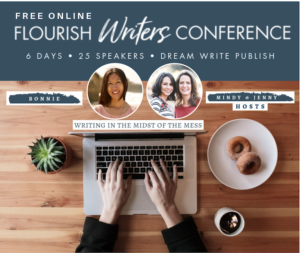 Write a blog post, link up on Wednesdays. Visit the post before yours to comment and encourage. Please use the #OneWordCoffee badge (click here) in your post& link back (or) 3. Tag photos #OneWordCoffee on Facebook or Instagram inspired by your one word. #OneWordCoffee ☕️ A simple invitation to create a new rhythm for your soul. Stop and hear God’s whispers. Let’s swap some stories together. Writing Prompt: any one word that speaks to you this week. ** Hi friends, I’ll be taking a break from blogging weekly to work on a special gift from my heart to you: Book #2. But, I will be posting Devotional Videos whenever I can. Thank you so much your encouraging comments and response to the news of Book #2. It means more than you’ll know.Please pray for words to flow as God brings me to your thoughts. Thank you! email subscribers: click here to add your link. Thank you for this beautiful encouragement, Bonnie. I’ll be sharing it with friends and family. That verse has a special part in my journey too. When my little sister was expecting her first baby just after Mum passed away, my dear friend took me to this verse to remind me that God was with my sister through the hard. My heart was aching at her having to become a mother without our Mum at her side. But through God’s Truth she reminded me that God was with my sister, holding her and her bubs close. It was so beautifully reassuring. I also sent this verse to someone dear to me facing the loss of her unborn child, telling her that no matter how long this bubs lived, God was holding him close to His heart and is with her through it all. This wee bubs is now in heaven and I’m holding on to that precious promise for her and her wee bubs. Thankyou for your words of encouragement. One journey ends and another begins. I am experiencing God anew by letting go of the mother i wish I had ,letting go of all expectations that things will change and accepting my mother as is. This is happening through brokenness. I had to come back home to be broken, healed, and made new. So very very grateful that Jesus is carrying me and holding me close in our Father’s tender heart. Its a safe place to be. Praying for you as you continue on your jouney writing book #2. After reading your blogs for many years now, I’ve decided to post a comment. Thank you for your encouragement for Mother’s Day. My mother in law passed away 5 years ago, I miss her every day. I’m glad this is the first thing I decided to read this morning, because it brighten my day, yours words touched and warmed my heart today. Thank you. Best wishes on book 2! I look forward to it! I just love you. You are so thoughtful and encouraging. I hope to meet you one day. That was a verse that carried me through as a young mother. Now my girls are all grown up, but still I carry them in my heart and in my prayers. I look forward to your new book. Right now I am stopping to pray for you and the writing journey you are on at this moment. So thoughtful and lovely, Bonnie. I always enjoy your devotionals. Praying for you in this new journey with God on book #2. He has a plan! Rest in His plan and love ya gal! Thank you Bonnie for your encouraging words. Mother’s Day is very, very difficult for me for many reasons. As someone whose Mother wasn’t there for me, knowing that God carries me, even today, the way that a mother carries her child in a baby carrier, close to the heart, is a word picture with great significance for me. What a comfort to know that during these difficult few days, God’s carrying me as he has always carried me. God’s blessings as you work on Book #2. I look forward to hearing more about it and going on a journey together through it’s pages. I love the reminder of Jesus carrying us like little lambs close to His heart. Thank you, Bonnie. Have a relaxing Mother’s Day at the beach! Wishing you a Blessed Mother’s Day Bonnie with your beautiful family. I will be grateful for my beloved mother who is resting in the arms of Jesus in Heaven. I will thank God for my 4 beautiful daughters whom I love so much. Most importantly I thank God for His Love which nothing can compare. Looking forward to your new book. Wishing you an incredible experience writing it. Thank you for your devotional and may you be wrapped in His strength and love as you continue in this new chapter, this part of your story unfolding. Wishing you a beautiful Mother’s Day at the beach – thank you for this wonderful message to our hearts. Praying for you as you write Book #2! So excited and can’t wait to see what He is showing you. Happy Mother’s Day to you, enjoy the whitespace! God carries us close.. His heart speaks to ours. What a beautiful reminder that He continues to parent us to nurture us and to love on us no matter how old we are. 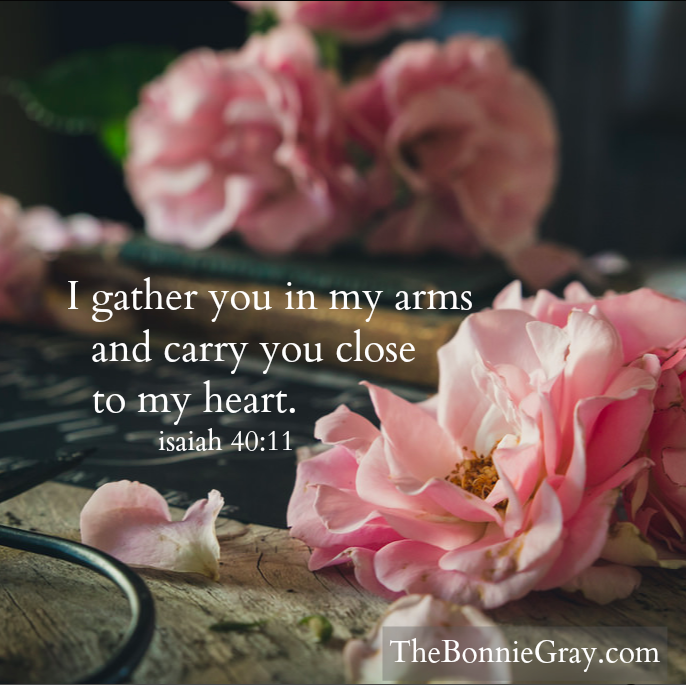 Bonnie, this graphic and post are such beautiful reminders of how God carries us as mothers. I loved reading it, and also … thanks for sharing your graphics! So generous of you – they are just beautiful. And wishing you joy and inspiration as you start writing your next book – so very exciting!! Praying for you with love! Congratulations on your book. Thank you for the link-up. God is not just a loving Heavenly Father to us, He also mothers us! This is so beautiful and encouraging. I always think of God as my Father……..loving your comment MK Gilbert? Thank you Bonnie for your unique perspective.